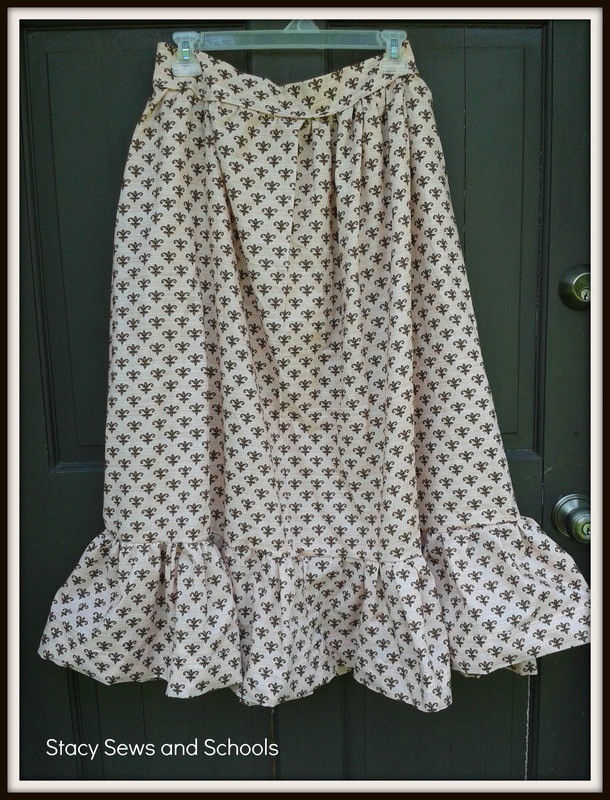 This is for a very simple maxi skirt with a ruffle on the bottom. You are going to start by cutting your waistband. You want it your waist measurement +1″ and 4″ wide. 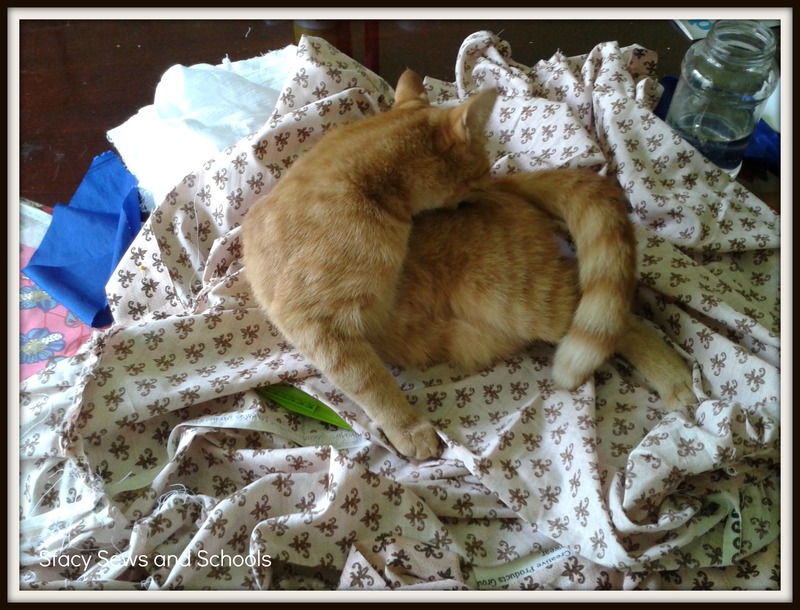 Next you are going to cut the fabric into sections. Cut 2 sections the length you want your maxi skirt to be -12″. 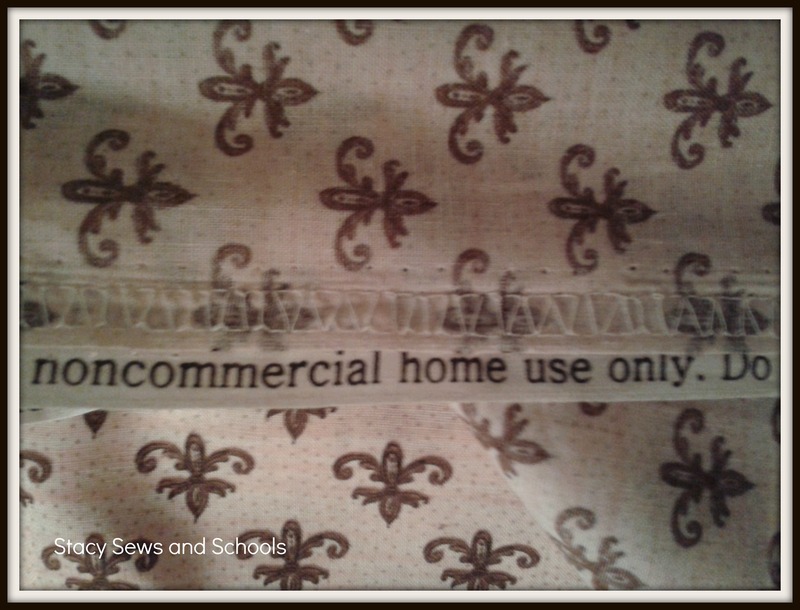 I kept mine the width of my fabric which was 45″. They will become the ruffles on the bottom of the skirt. Now it’s time to sew the front panel to the back panel. 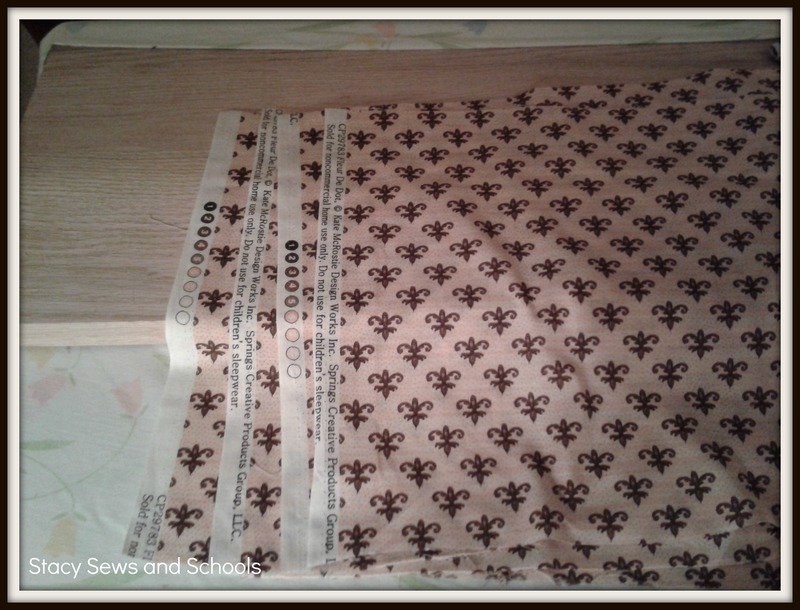 Just pin them with right sides together and sew the seam. 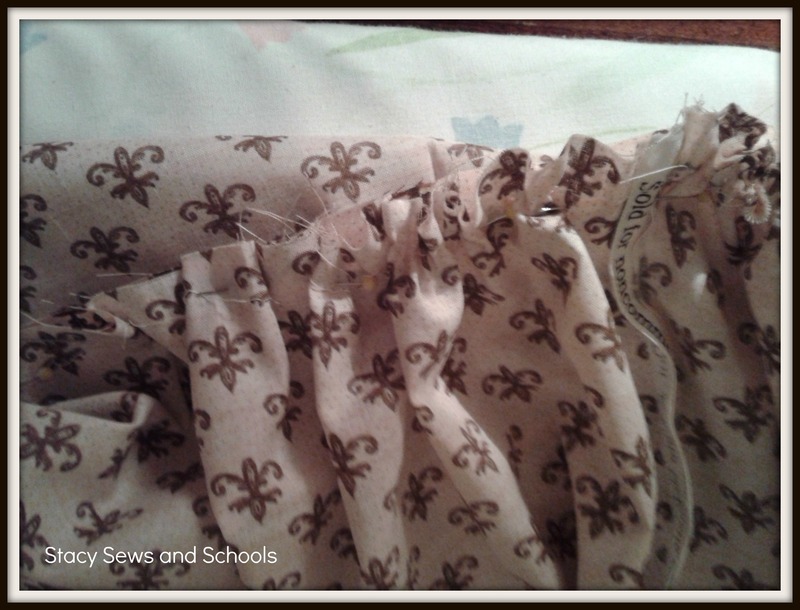 Next you are going to sew a gathering stitch into the top of the skirt. 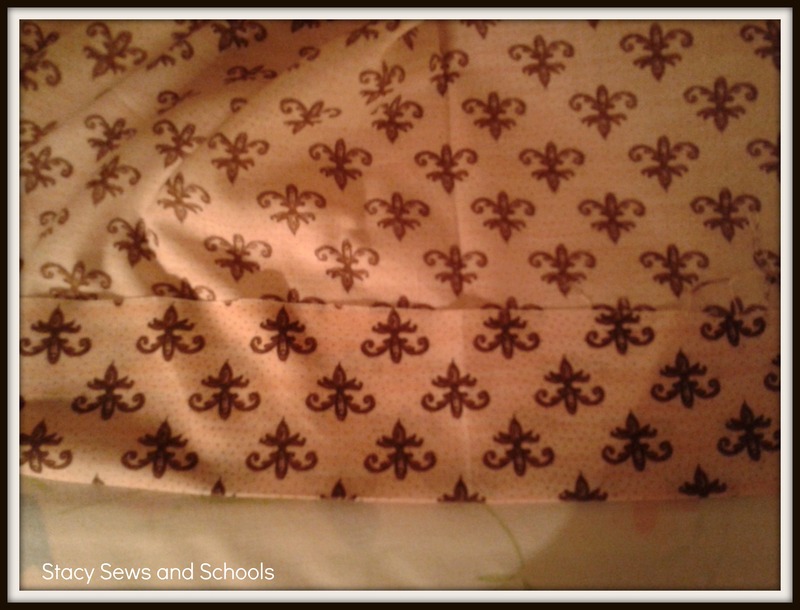 To sew a gathering stitch on my machine I set the stitch length and the distance length to the highest settings. Then I pull slightly on the unsewn fabric as it goes through the machine. Now you are going to create your waistband. 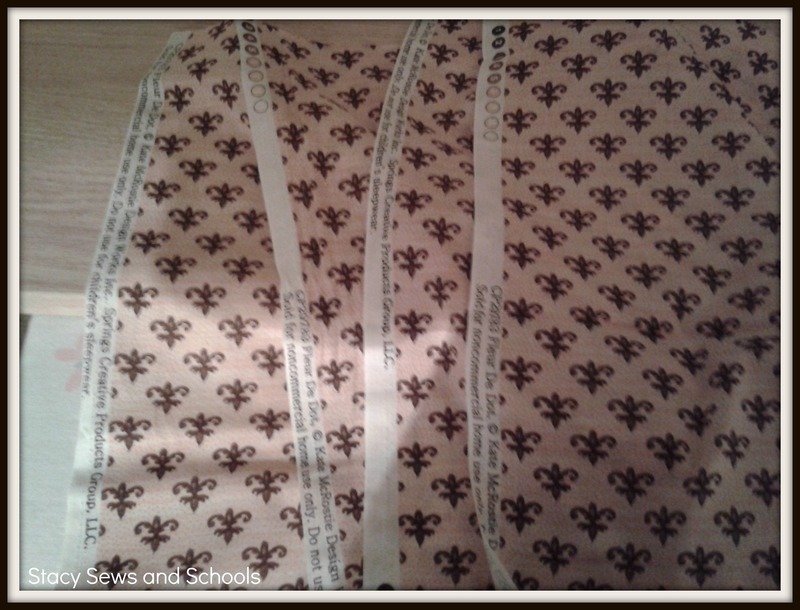 Fold your strip in half length wise and press. Fold in one edge a 1/4″ and press. 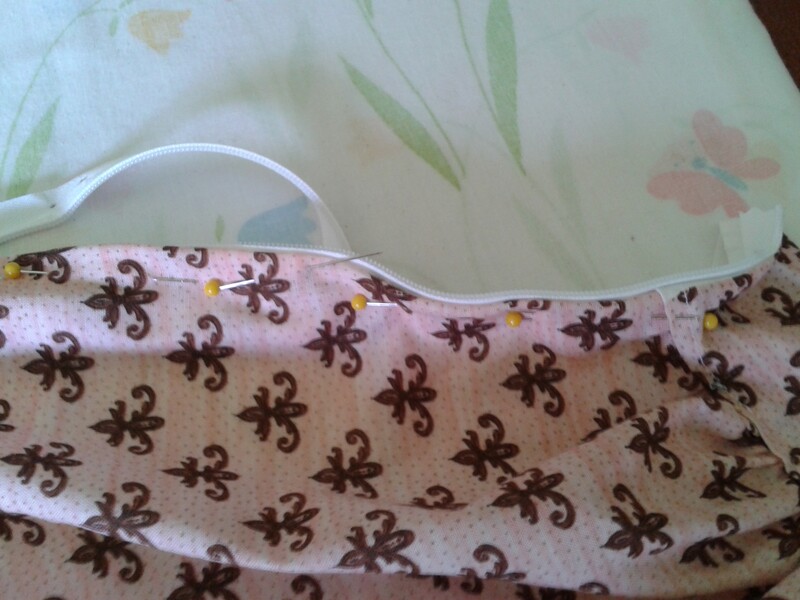 Next you are going to open up the waistband and pin it to your skirt top adjusting the gathers as you go. I usually pin both ends and then pin the middle. Then I will adjust the gathers in between the pins. 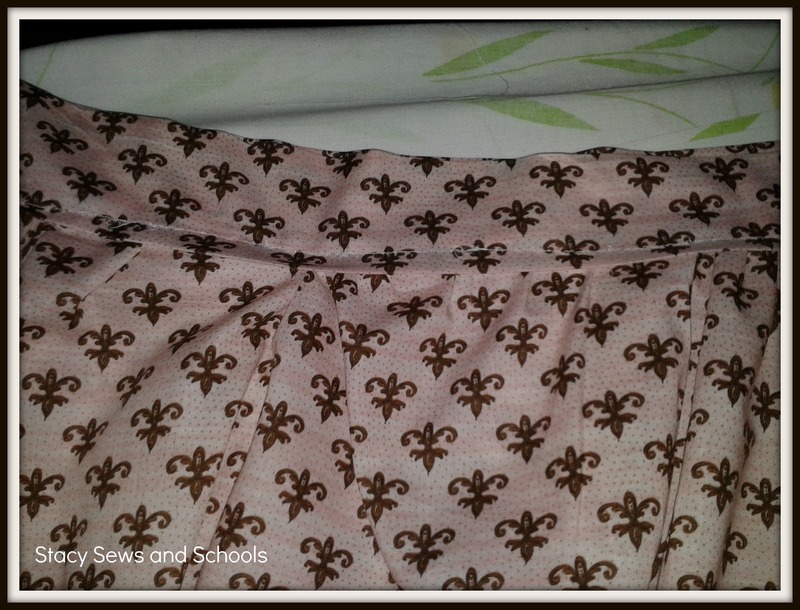 Now, sew the waistband on. Don’t look tooooo closely at my stitches, please. My bobbin thread has been giving me all kinds of issues no matter what I do! GRRR!! I guess it’s time to oil it! 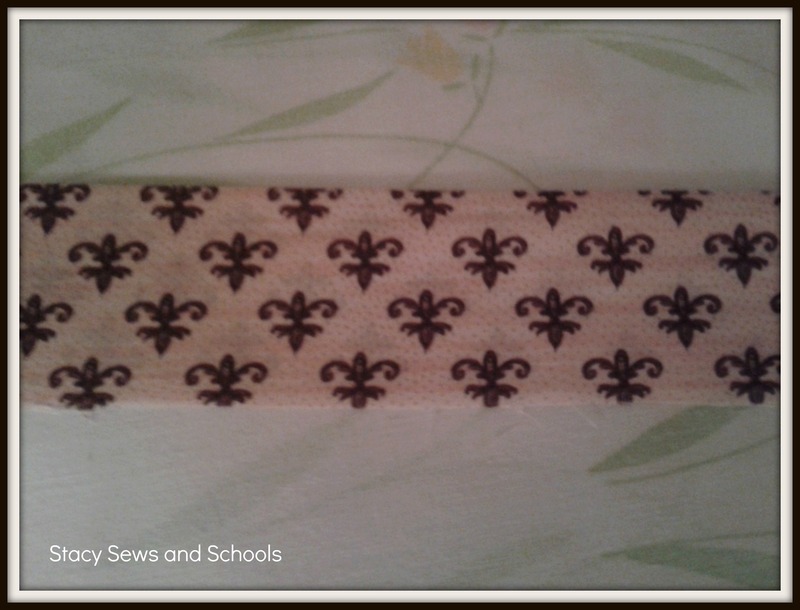 Next, you are going to take your 4 strips and sew them together. But don’t close them up. Leave the sides open. And I forgot to take a picture of that part. Sorry!! Now, you are going to sew a gathering stitch across the top. Then with right sides together, pin it to the bottom of your skirt. Sew it together. 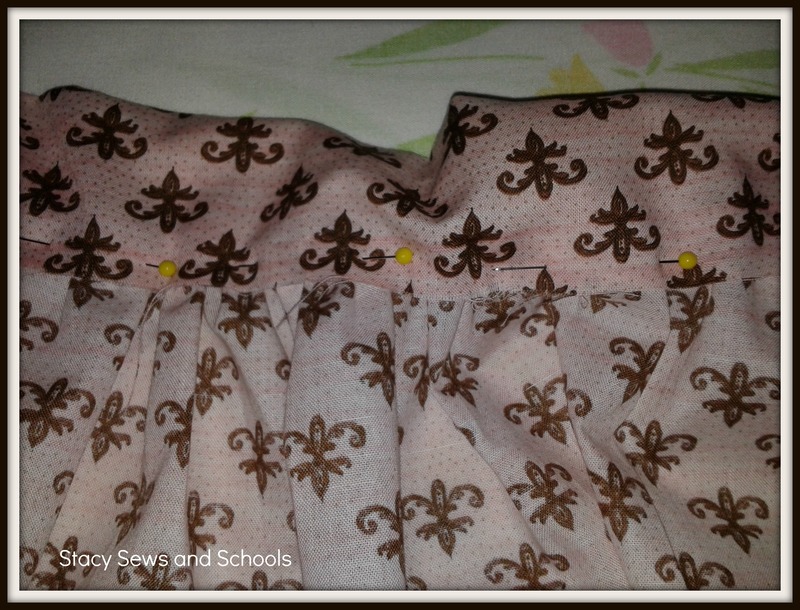 Now pin one side of your zipper to one side of your skirt and sew. You don’t HAVE to have a zipper foot (I don’t) but they make this step SOOOO much easier. Then pin and sew the other side! Now we are going to do our side seam. 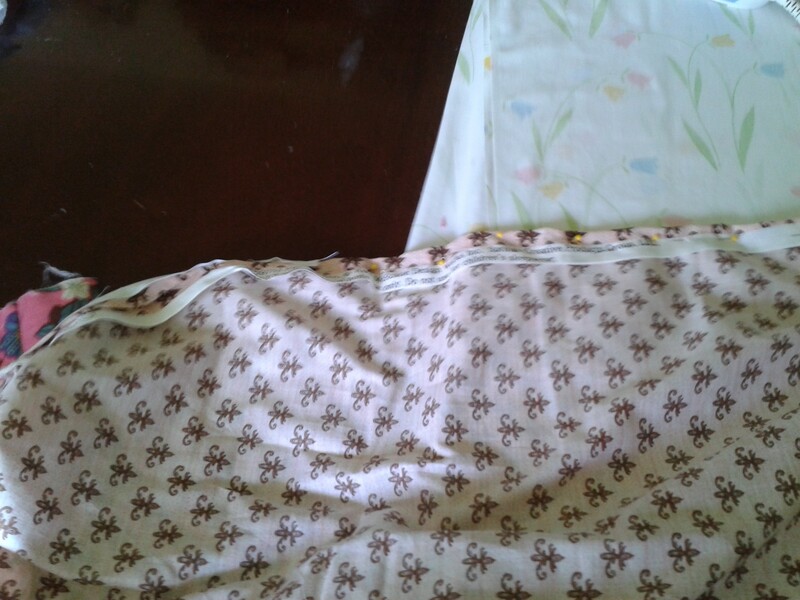 Starting at the bottom of the zipper, pin the 2 sides together (right sides together). Sew it up! Tomorrow I will be working on a blouse to go with it. But first I need to get some fabric!! LOL I’m not sure if I want to go with the pink or the brown… What do you think?? I’ll be using this pattern. 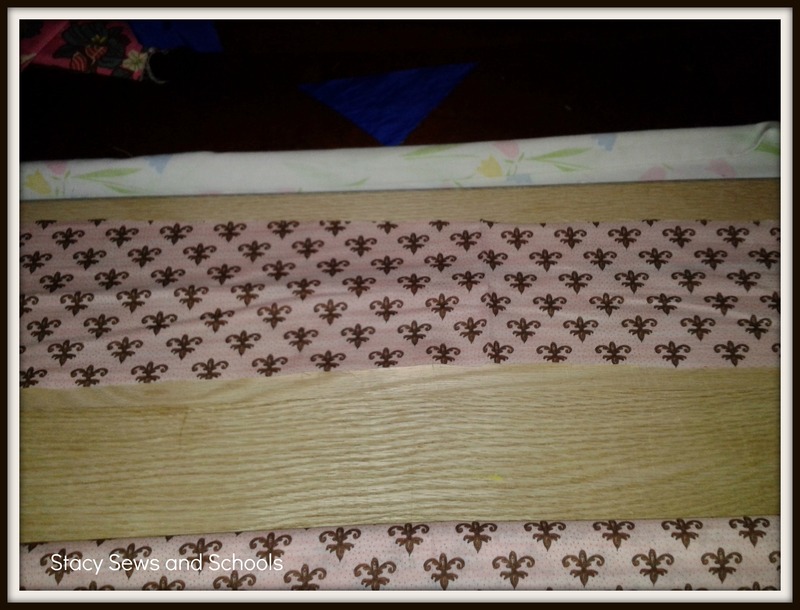 Next you are going to cut the remaining sections into 4 strips that are the width of the fabric long by 14″ in width. Make sense?? Does that mean, they’ll be the length you want the dress to be -12″ (as the earlier instruction said) and 14″ wide? Sorry! I was afraid that might be confusing. Does that help? 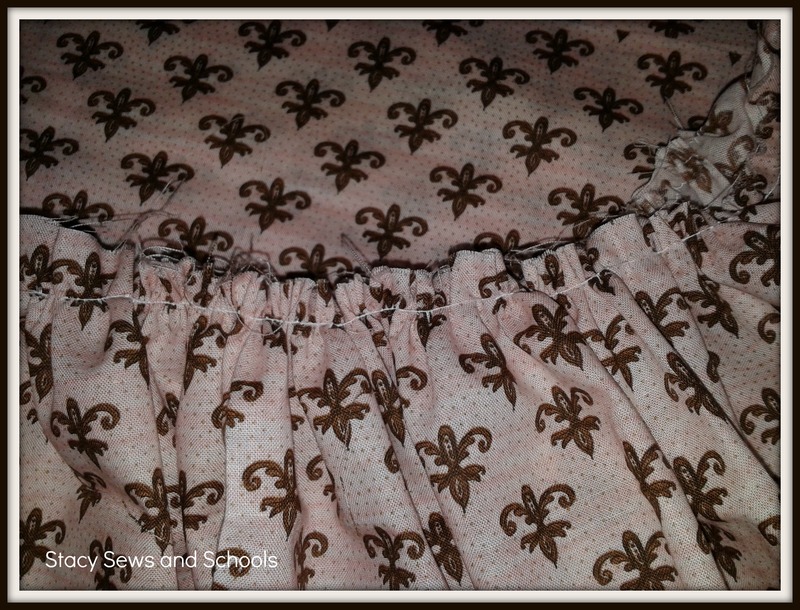 The strips will become the ruffle at the bottom of the skirt. OMGosh!! I forgot to add in the zipper!! YILES!!! Doing that now! Yes, that makes sense. I was too busy being befuddled by numbers to notice that these were the ruffle pieces. My own personal “shout out” I’m so PROUD!! Great skirt. I wish I could sew like you do. Thanks for sharing at the All Star Block Party. Aww!! Thank you SO much!! You are too sweet!!!!! Thank you SO much, Winnie!!! ROFL!! My darn cats are ALWAYS in the way!!! You really did a great job with this skirt. Thank you so much for linking with Wednesdays Adorned From Above’s blog Hop. Great tutorial Stacy! I LOVE the fabric too! I’m glad you included the tip about the cat, I never know when to leave mine and when to remove her. I’d love for you to link this up at my party! Very nice Stacy! I love that fabric, super cute! Thanks so much for sharing at The Fun In Functional! Great skirt pattern, and the blouse pattern you chose to go with it is stunning! I’ll be looking for that pattern too. Thanks for sharing! I am going to make this skirt. I love it. I am a bit confused about the 12” thing but will probably figure it out when I get going. I think your top will look good in either color but the brown might be easier to match than the pink. This is my first time here and I will be back. Thanks for the cute pattern/tutorial. OHHH!!! I need to see if I can find some brown slub knit!!! That would be awesome!! can someone tell me where I can get the Blouse pattern show above? GOOD LUCK!!! With the skirt and the weight loss!!! !